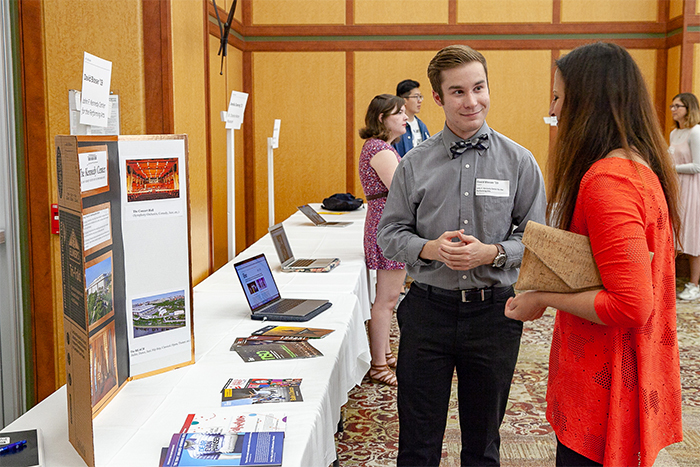 Representing everything from global tech companies and world health corporations to local courthouses and media outlets, Dickinsonians presented their summer internship experiences at the eighth annual Internship Showcase. Held in the HUB Social Hall on Thursday, Sept. 20, the Internship Showcase is a casual event where Dickinson students share their internship experiences with the college community, discussing how they utilized their liberal-arts education to tackle real-world issues. According to Amity Fox, associate dean of academic advising and director of the internship program, 69 students presented during this year’s showcase. The Internship Showcase is hosted by the Internship Notation Program. Learn more about internships at Dickinson.